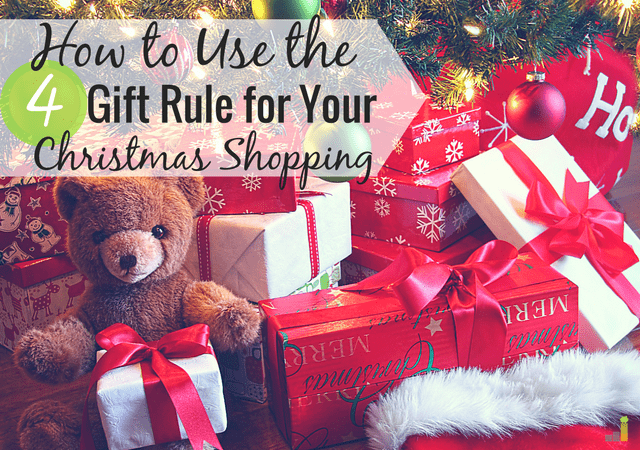 Does the 4 Gift Rule Really Work for Christmas Shopping? Two years ago, I wrote a post telling readers about The 4 Gift Rule. 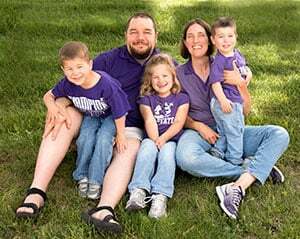 Essentially, I explained that my husband and I were sticking to the four gift rule for our kids, only giving them something they want, something they need, something to wear and something to read for Christmas. The four gift rule worked out great for us, but this year, I found myself wondering if it really would be sustainable. Now that my kids are very excited about the Christmas tree and Santa, I found it extremely hard to resist buying them Christmas presents. Their personalities are coming out now, and they are finally noticing things in stores that they like. I find myself wanting to give them anything and everything. It’s not easy. I realize that it takes a lot of strength and discipline to really stick to a minimalist Christmas. I’m completely finished with all my Christmas shopping because I truly am that Type A. I don’t like to stress around the holidays, so in the next week or two, I will have all gifts wrapped under the tree and ready to go. So, Did I Stick With the 4 Gift Rule? Kind of. 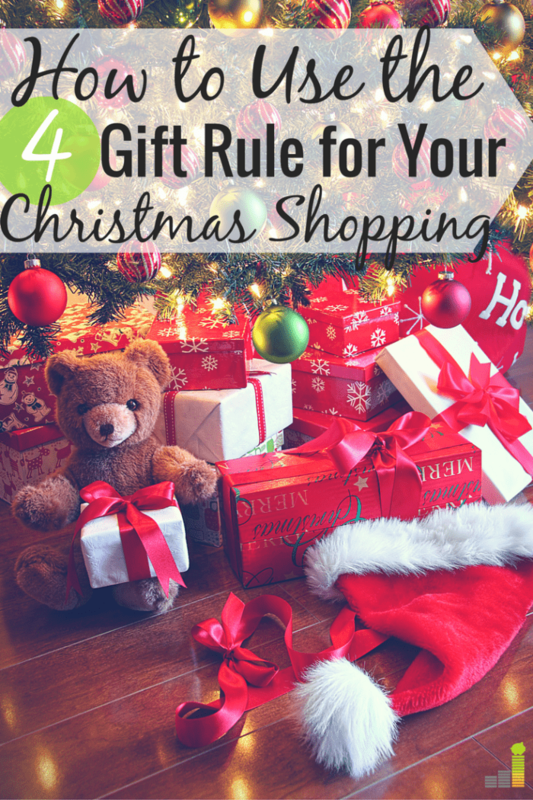 I used the 4 gift rule as an outline when thinking of Christmas gifts for my children. It helped me to stay on track and not to deviate from the path. I did all my shopping on Amazon and Jet.com so I researched things for a while and placed things in my cart that I thought my twins would like. Initially, my cart was crazy (it came to over $500 in Amazon), mostly because I put a ton of books in there for my kids as well as several toys. I wasn’t intending to buy them everything but it helped me to put everything I liked in one place so I could sort through it. After some thought, I decided to get them each one big gift, which would fall under the “want” category. I discussed things with Santa, and he will be bringing my daughter a play kitchen and my son a train table and train set. This is where things deviated from a strict four gift rule. My son’s train table and train set came together. So, I purchased two extra gifts for my daughter in the form of play food so she could use them in her kitchen. When it came to what to wear, I found some Minion slippers in the Target dollar spot section. 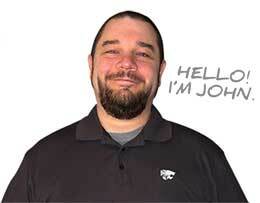 As you probably already know from reading my posts, I am a huge fan of Target. My kids are obsessed with the Minions, and so that was an easy buy. However, then Black Friday came around and I ended up purchasing a few more winter clothing items, which I suppose could go under a “need” category. When I unpacked the Christmas ornaments and decorations I found several holiday books like the 12 Days of Christmas and so I narrowed down the books in my Amazon cart to just one book each since they are currently enjoying the new-t0-them holiday books that were packed away. We make good use of our local library, so this made sense to me to cut down the number of books we bought them. All in all, I didn’t just get my kids four gifts. They are really getting more like six each, but they all go together. They also will have a few things in their stocking like $1 puzzles and $1 cars from the Target Dollar Spot. That was easy enough. I can say that since finishing my Christmas shopping there have been many other things I’ve wanted to get them. My husband and I take music lessons from the same teacher every Saturday and the kids come with us. They’ve started to take some interest in playing the small violins that our music teacher has in her house. I want to foster that, but I realized violins in their size are around $40 each. There are some play violins on Amazon that are $15 each that I found, and I even put them in my cart. However, after some thought I moved them into a Twins’ Birthday Amazon Wishlist to consider when they turn 3 in March. So, as you can see, I’ve definitely been tempted by the holiday spirit and all the ads and by the twins themselves as they start to show interest in different things, but the Four Gift Rule or at least the 4 Gift Outline that I’m sort of following this year has helped me to keep focused. I think it’s important to note that I was actually able to enjoy this process and make it continue to work for my family, as well as not go overboard because I decided on a Christmas budget long ago and saved for Christmas all year. I put Christmas money in a separate high yield savings account starting in January every year. Depending on how the month went I put anywhere from $50-$100 in it every month. When the total got to $800, I stopped. This is a little bit less than what the average consumer will spend this year, which is $1,121 according to 2016 holiday spending projection statistics. My husband and I used our Christmas savings to buy gifts for each other, the kids and even some small mementos for our family members. We will not be having a holiday debt hangover in January, and for that, I am grateful. How many gifts will you be buying your children this year? Do you think the 4 gift rule is sustainable? If you use the 4 gift rule, how do you make it work for your family? What’s one gift you regret getting your kids last year?